What does “Razor System” mean? 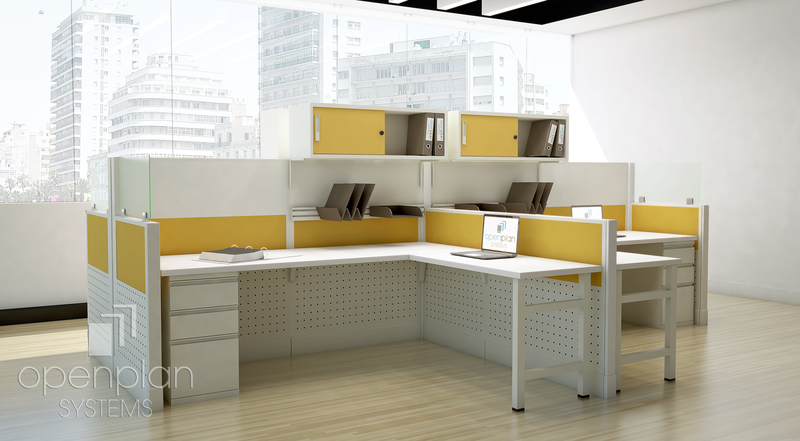 Our Thin base option has just become even sharper! Our Razor System, formerly known as our Thin Base option, gets it’s name from it’s sleek, sharp edges. 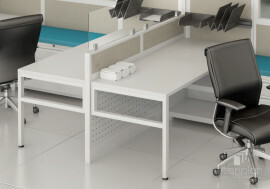 With its square connectors, flush base and razor-sharp design, this system is the future of modern offices. 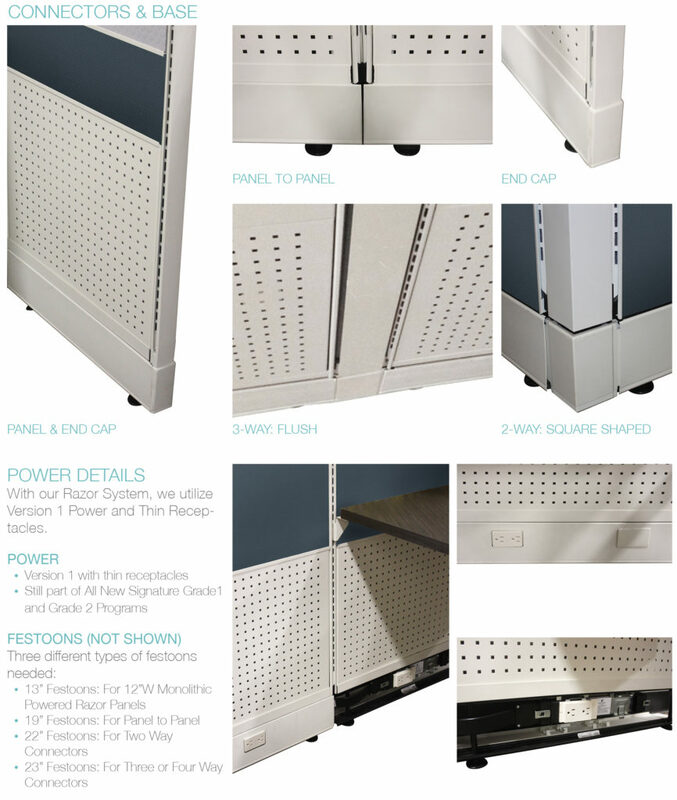 Our sleek Razor System creates a modern designer look at value pricing. 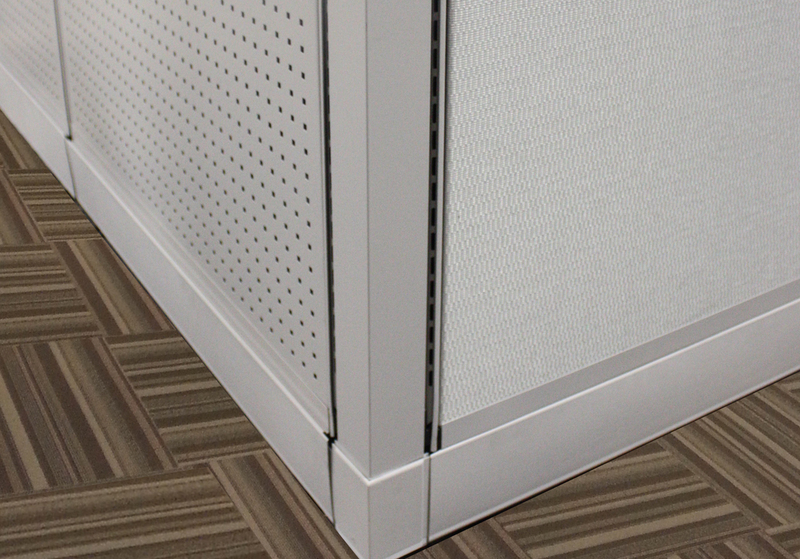 Enjoy the flexibility of Razor Tile and Razor Panel options. 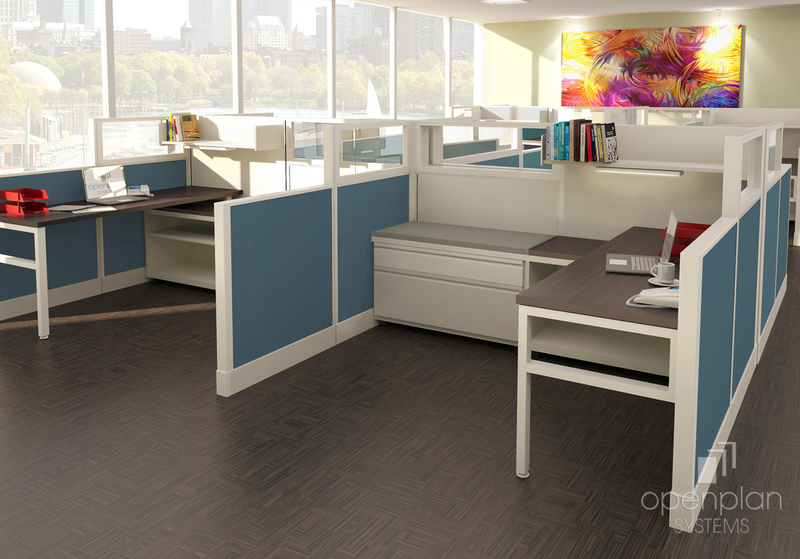 Combine these options with desking, accessories, storage and seating to create a chic, complete office design. 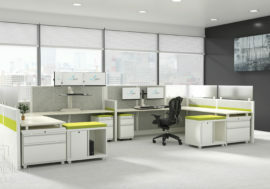 The flush base and square connectors give an upscale design while maintaining a tight budget. Our Razor System is available with both our Signature Grade 1 and our Signature Grade 2 finishes. 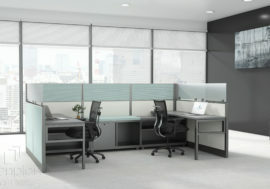 • Signature Grade 2 offers the largest selection of fabrics and finishes! • Signature Grade 1 has a limited selection of fabrics and finishes but offers our greatest savings! Our Razor Tiles give you the flexibility to create your desired business setting of today and affordable adapt to modern office furniture trends. Our Razor Tiles are designed to be fully compatible with our Razor Panels. We also offer the addition of mid power tile panels. 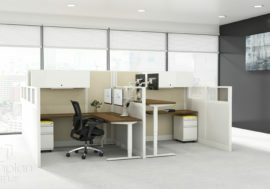 This gives more flexibility for electronics and data in your work station. The mid power option has four outlets, one USB port and one data/phone jack. 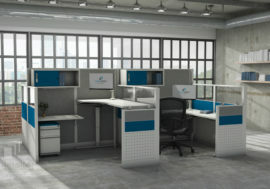 Designers will enjoy the flexibility and variety of our Razor Panels. 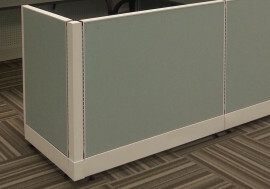 Panels range from 32”-107”H and are available as monolithic or segmented, with glass, fabric or marker board stack options. 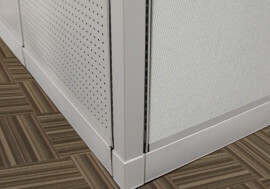 Glass or fabric mullion options can be added to panels for aesthetics or increased privacy. 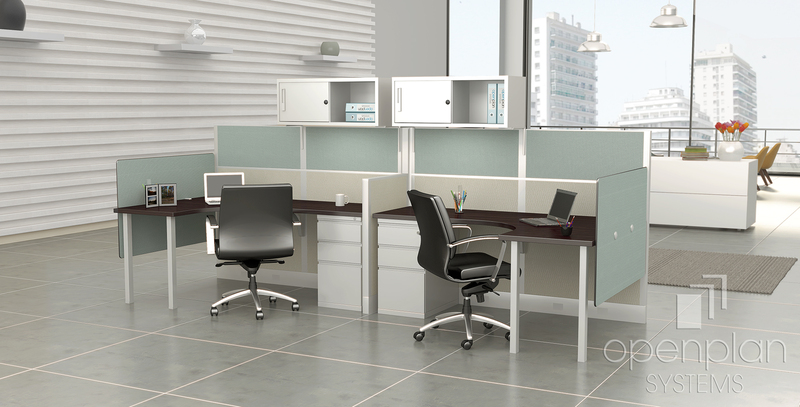 Gain more options and flexibility in the work place by combining our Razor Panel and Desking Systems. 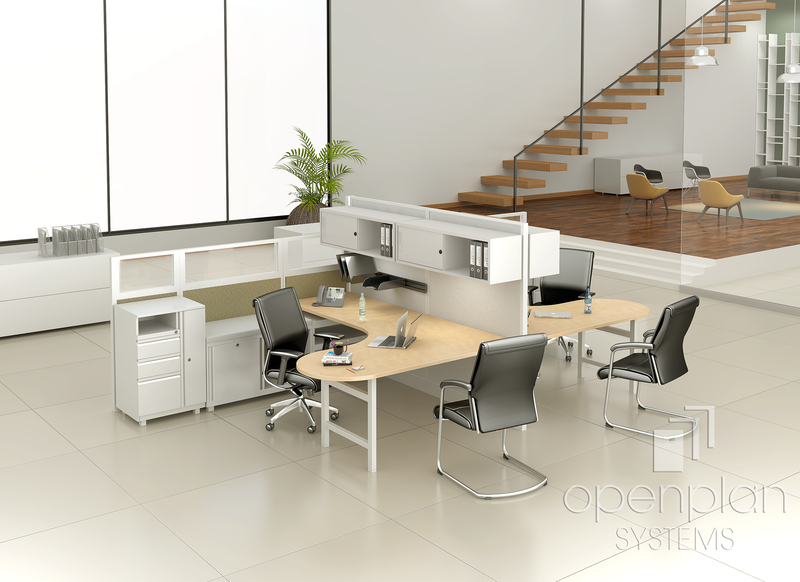 With the variety of low storage offerings paired with overhead choices, this system provides excellent functionality as well as being aesthetically pleasing.